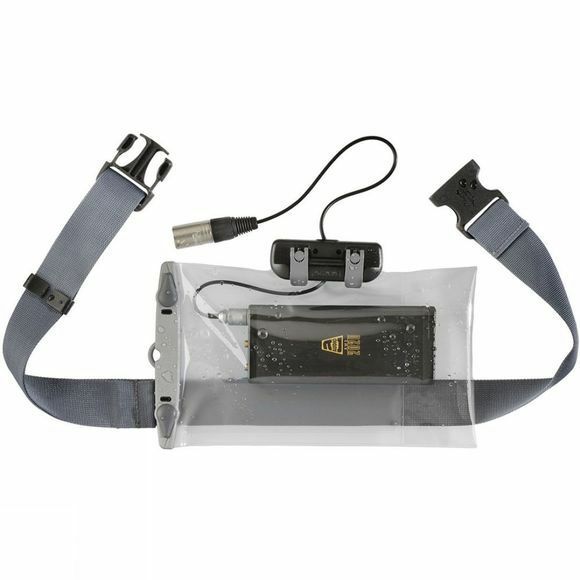 When a wireless connection isn't possible, the Connected Electronics Case from Aquapac allows you to stay plugged in whilst protecting your equipment from immersion. The case lets you use all buttons and switches on your device and you can feed out a wire of up to 2.5-millimetre diameter. It also floats if you drop it in the drink. This case features our Aquapac's TC Aquaclip, which gives it an IPX7 waterproof rating. Temporary immersion is fine, but not continuous immersion.